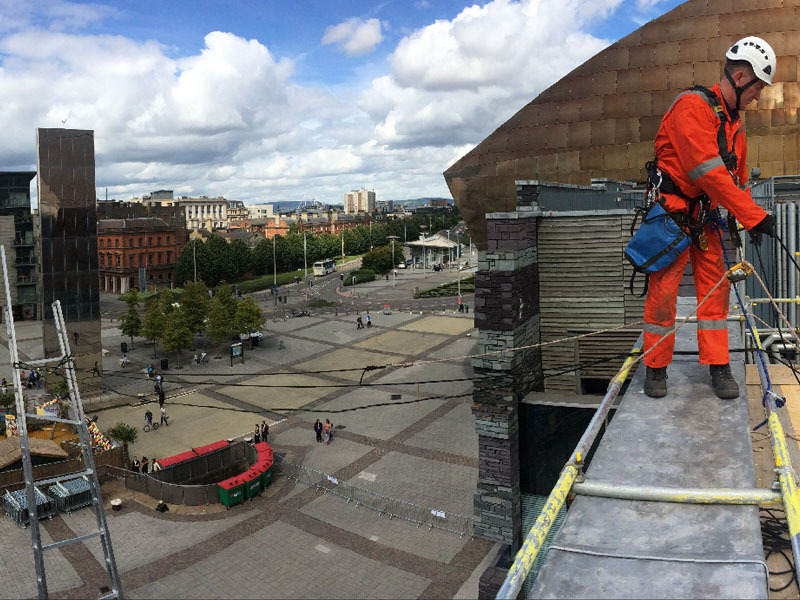 Provision of rigging and safety cover for performers on the exterior of the WMC, including carrying out lifting operations during the live performance to raise ladders and other props up the side of the structure. 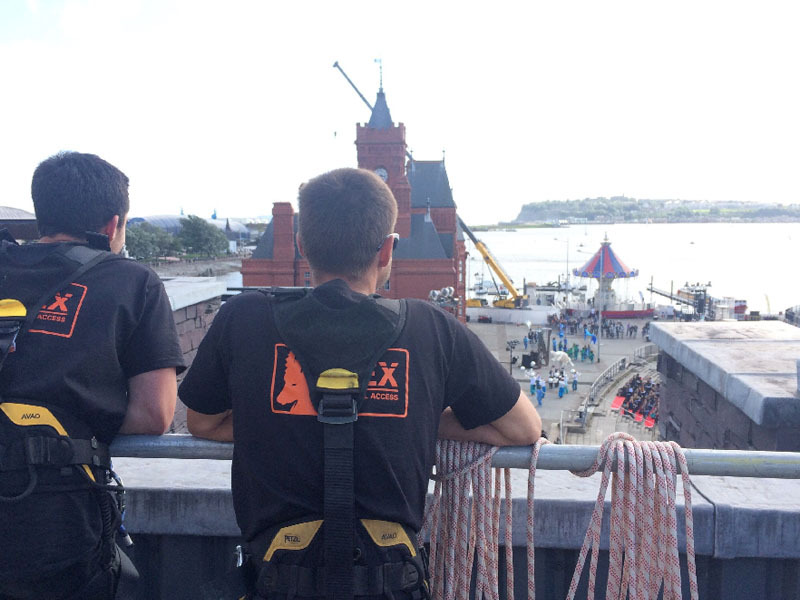 Provision of access and safety services during a Red Bull promotional dive event. 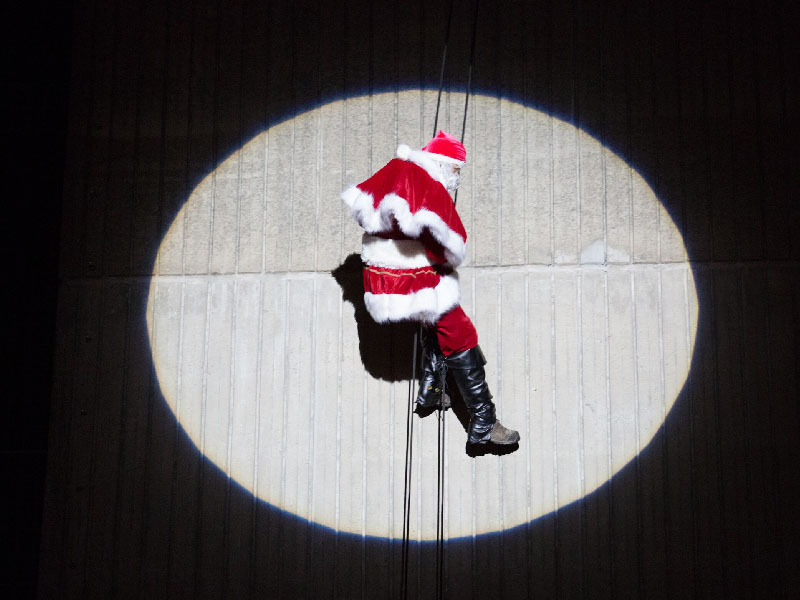 During location filming, iBEX provided safety cover for film crew and their equipment, using restraint techniques. 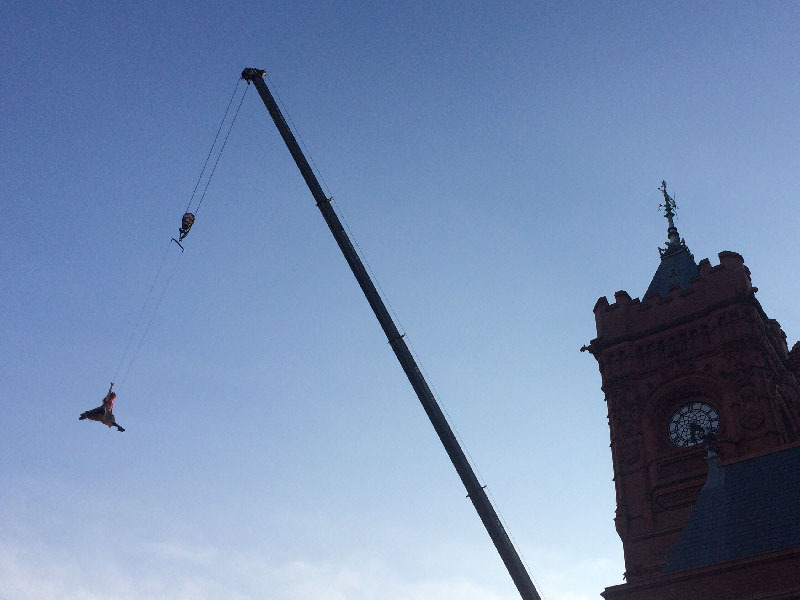 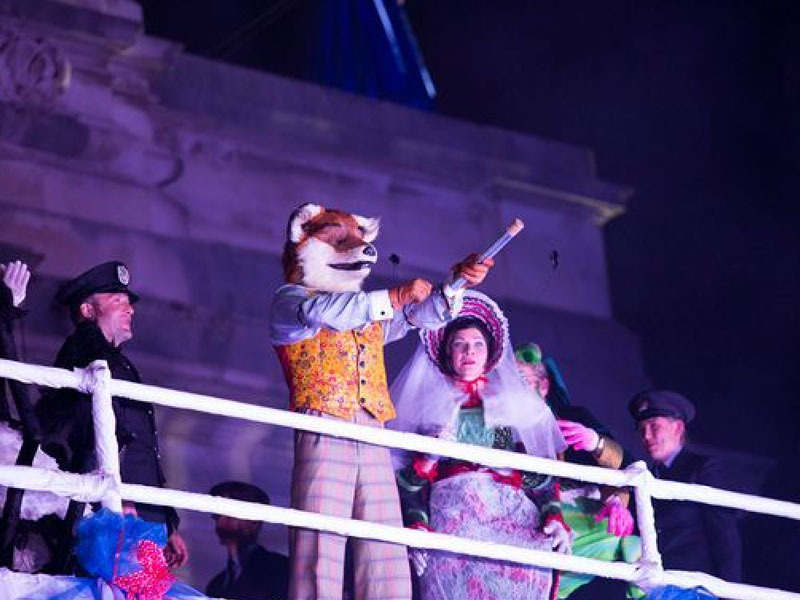 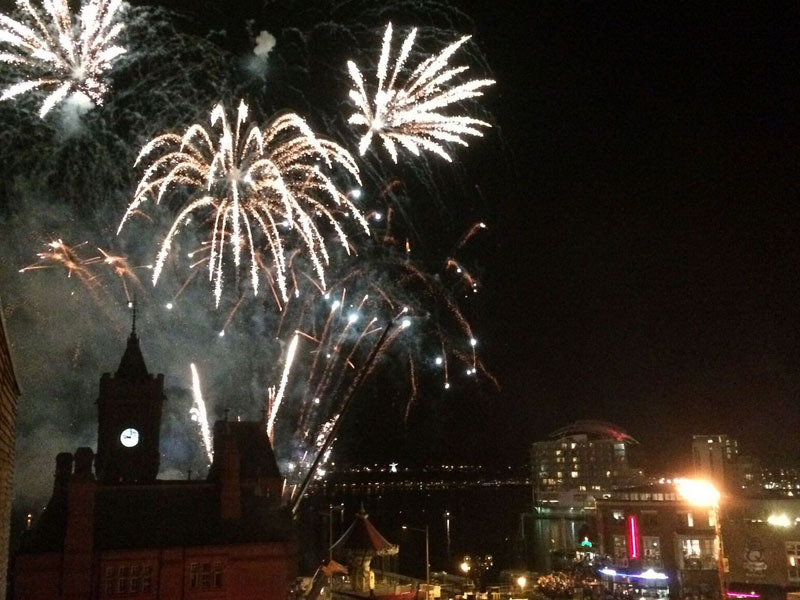 To celebrate 100 years since Roald Dahl’s birth, the National Theatre Wales approached iBEX to assist at various sites throughout Cardiff with the provision of safety cover and rigging for aerial performers.